Antique spinning mill equipment captures an important piece of American history. Photo courtesy of the American Textile History Museum, Lowell, Massachusetts. 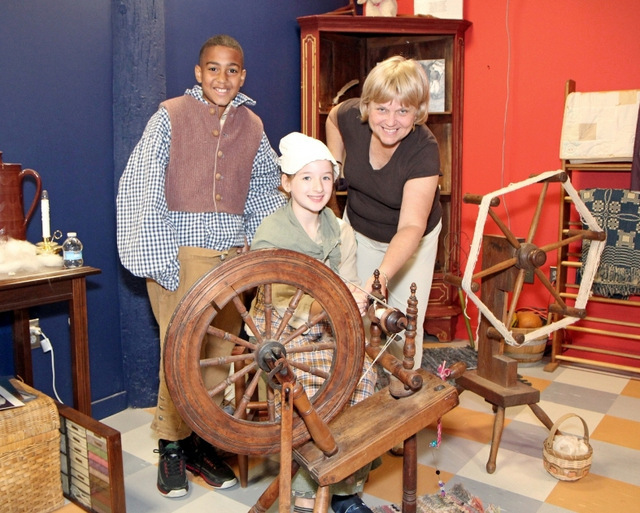 The museum holds a large collection of antique spinning wheels. Photo courtesy of the American Textile History Museum, Lowell, Massachusetts. ATHM has evolved and changed since its founding in 1960. Originally located in North Andover, Massachusetts, the museum was established by Caroline Stevens Rogers as the Merrimack Valley Textile Museum. 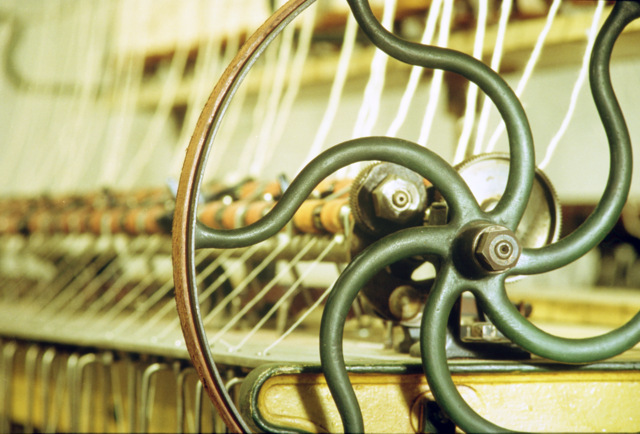 She was a weaver and dyer and became interested in founding the museum after inheriting a large collection of spinning wheels and sundry equipment from her father. Today, the museum holds over 90,000 artifacts, and the Chace Catalogue allows you to search this important collection online. The museum has two great exhibits that will be open through December. 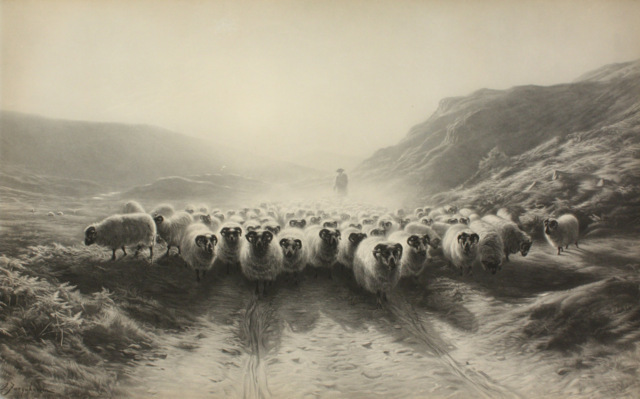 Joseph Farquharson was a Scottish painter, known especially for his winter landscapes scenes with sheep. He exhibited almost annually at the Royal Academy in London and found commercial success with prints made from his paintings. Photo courtesy of the American Textile History Museum. Cocheco Textile Sample, 1884. Cocheco Manufacturing Company. Dover, New Hampshire. Cotton, printed. Title: Unguarded. 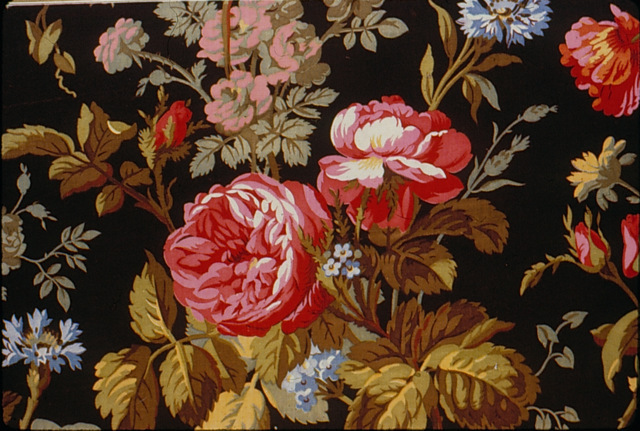 Photo courtesy of the American Textile History Museum. Can’t get to the museum this month? Donation information can be found on the website. You can learn more about the collection on the ATHM blog, Facebook page, and Pinterest boards. From Wool to Waulking. Video: Norman Kennedy. Spin Flax and Cotton. Video: Norman Kennedy.